Make quick work of under-brush, berries, saplings, bramble, vines, tall grass and small trees! 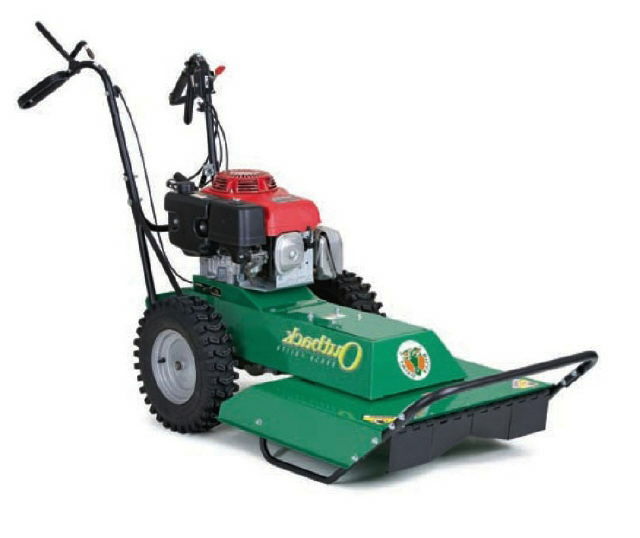 The Outback BC26 can cut saplings up to 2 wide and brush 6' tall - all at a rate of just under an acre of brush per hour. * Please call us for any questions on our walk behind highweed mower rentals in Kokomo IN, Logansport, and Central Indiana.